Don’t worry, you haven’t clicked onto the wrong page by accident, and I haven’t been visited by three camping ghosts in the middle of the night in an attempt to make me forget about van life. The truth of the matter is this; we talk so much about tiny trailers, small travel trailers, and all things trailer life, that the big wigs at Van Clan HQ have decided to make sure that our publication isn’t too biased. I know that our magazine is all about living the van life, but we’ve got to include all types of camper conversion and van, which means the caravan is getting its own feature. That’s right; we’re going to list eight of the best caravans on the market today, and you might be surprised by what you see. The dictionary definition of a caravan is ‘a vehicle equipped for living in, typically towed by a car and used for holidays’. Now while I know that that won’t come as a surprise to you, I just want to prepare you for the fact that the list you are about to look at won’t contain any of those beige, crumbling trailers that you might have seen on your granny’s drive. Expect solar powered caravans, shiny Airstreams, state of the art affordable tiny homes, and lots more. Coincidentally, the historic definition of a caravan is ‘a group of people travelling together’, which is what travelling in a van is really all about. Like the idea of full time van life? Fancy yourself as a weekend warrior? Join our Facebook Group and become a part of our ever-growing community! 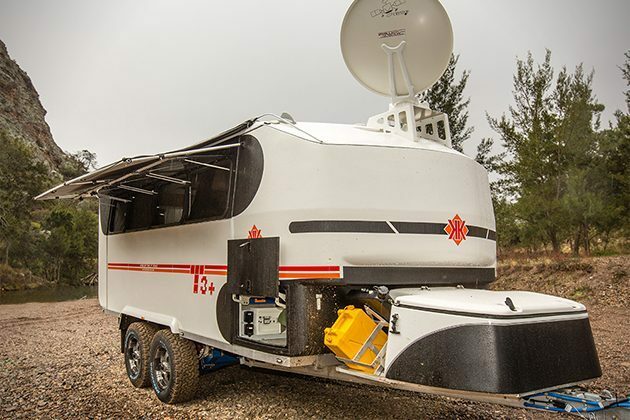 If you’re looking for an off road trailer with attitude or an off grid trailer that won’t fail you in the harshest of environments, then the Kimberley Kruiser will be right up your rocky, potholed, all-terrain street. 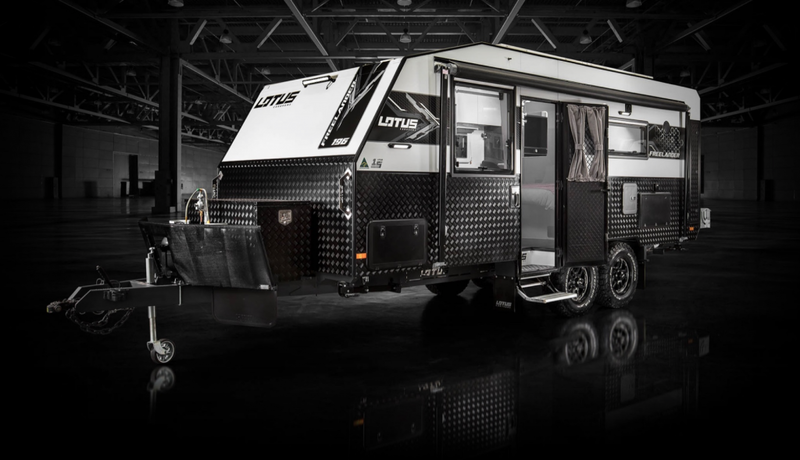 This off road caravan makes our best caravans list because of its ability to tackle the outdoors head-on, and because it does it all while looking cool not even breaking a sweat. These Australian made monster camper models are made for the harsh conditions of the outback, so they’ll certainly cope with a trip to the Cotswolds or a stint in Death Valley (this could very well be the first time that these two places have ever appeared in the same sentence). The Kruiser makes use of 16” tyres that can conquer any type of ground, and the suspension system has been carefully created to make sure that your caravan will be able to cope with any stress that you might put it through on your travels (physical, not mental). 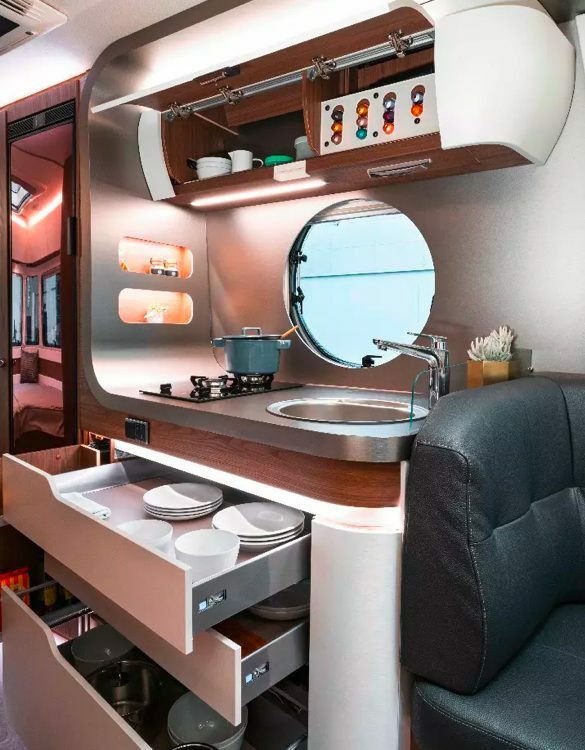 While the outside looks rugged and hungry for adventure, the inside of the Kimberley Kruiser tells a story of comfort, relaxation, and stress-free alternative living. Multiple flip down televisions, dining areas, a full en-suite bathroom and a comfortable looking bed, provide all of the van life essentials that you need while living off grid. 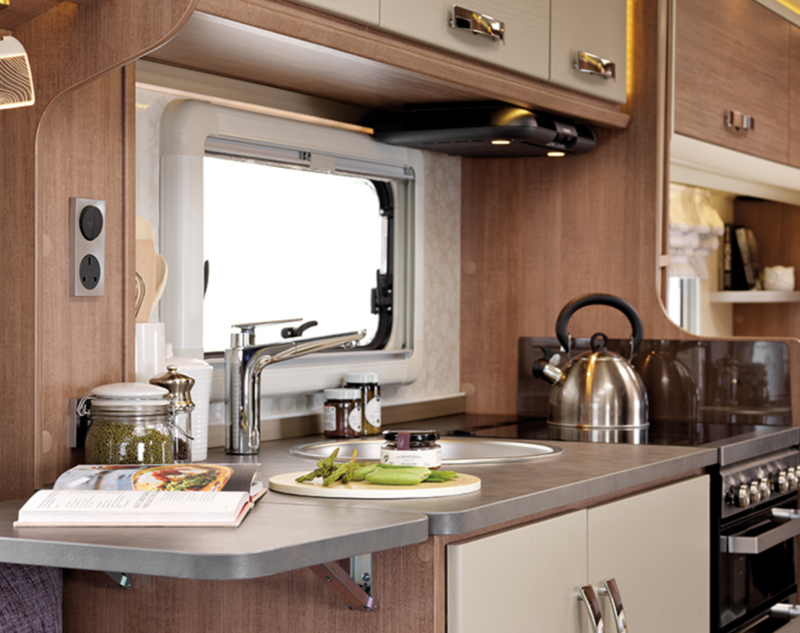 Rugged on the outside, soft and charming on the inside; they should rename this caravan after me. Check out the Kimberley Kampers website for more information! 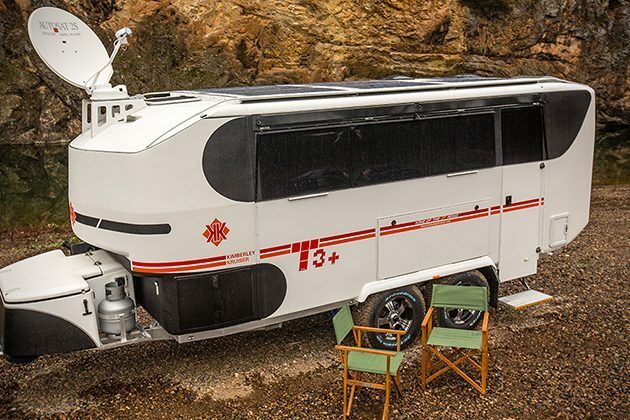 If Tony Stark needed a caravan for an off grid adventure with the Avengers, then the Eriba Touring Caravan would probably be high up on his list of best caravans. It might not fold up into an Iron Man style suitcase, but it certainly looks as though it’s made for a billionaire that likes to go off grid in style. 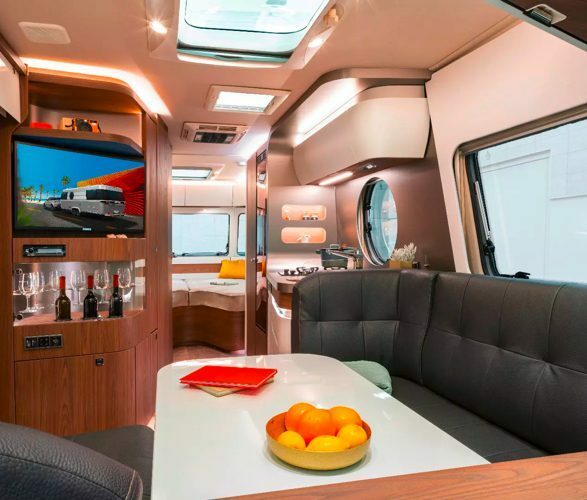 You could be forgiven for thinking that this 28-foot long caravan could be fully fledged adventure bus, what with its coach style windows and sleek, aerodynamic shape. This caravan is perfect for a family of four that are after an alternative caravan holiday, one that doesn’t include flowery cushions or those strange bed/mirror/cupboard units that we wake up screaming about after a terrible camping nightmare. 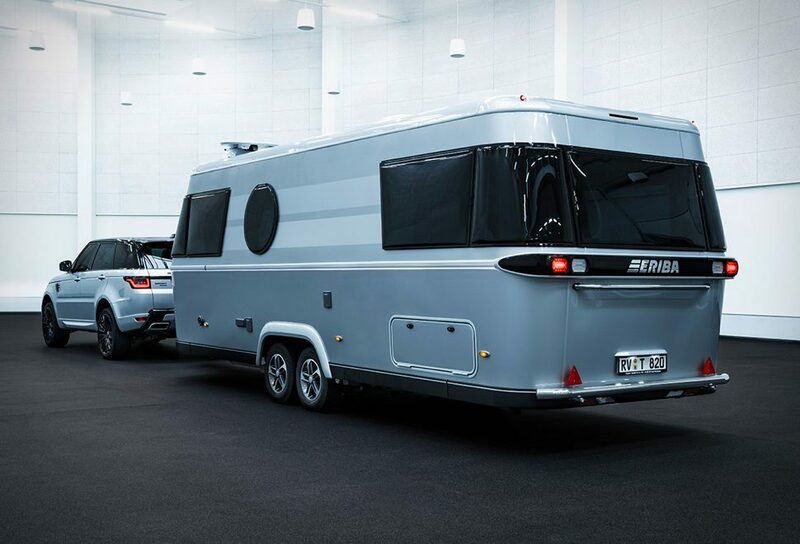 The Eriba Caravan is built around a steel cage worthy of Wrestlemania itself, and given a retro ‘cool-cat’ look thanks to the Aluminium panels on the exterior. Any tech wizards out there will also be glad to know that this caravan has a full digital onboard system that can be linked up to a smartphone for increased control over your camper. Now you can set the perfect temperature when you’re heading back down from the mountains; cold campers are a thing of the past! Check out more on the Eriba website! ‘Digital Nomad‘ is now a term that many companies know and understand, and a job title that lots of wannabe vandwellers aspire to achieve. Whether you code on the road, write for a magazine or make your money from social media/vanlife blogs, there are so many ways to earn a living while living in a van. Number three on our best caravans list gives you a calm and relaxing space to do just that, all in one of the most iconic looking campers of all time. This 1960’s airstream Bambi II has been renovated into a mobile office come tiny home by San Francisco Architects Edmonds + Lee, turning a vintage camper into a modern day masterpiece. 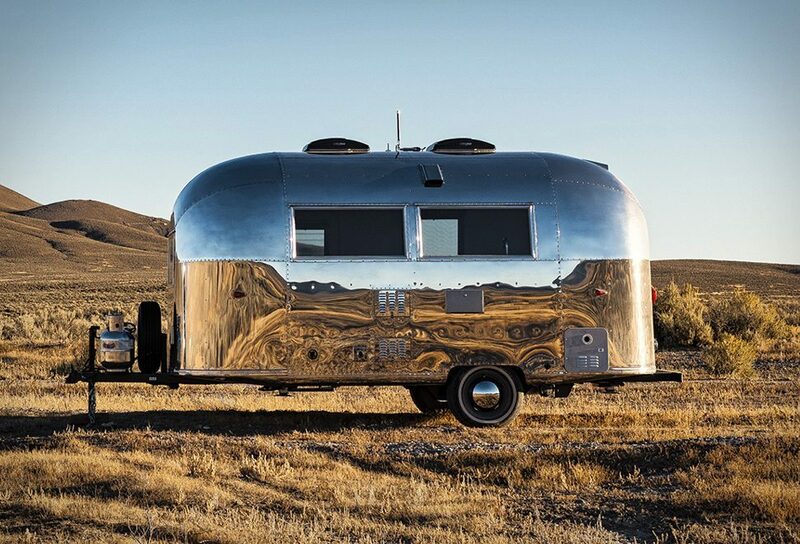 Keeping the classic shape and shine that we’ve come to know and love from the Airstream Trailer, this mobile office feature many stylish and ergonomic elements that compliment any working environment. 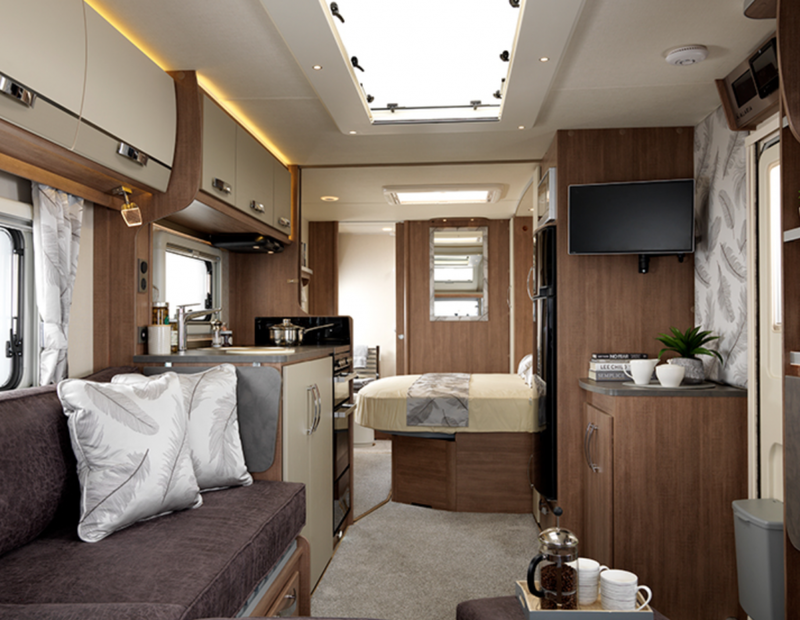 The white walls instantly bring about a state of relaxing calm, putting any procrastinator in the right frame of mind to get creating, and with its oak cabinets, curved seats, adjustable desk and hidden storage facilities and appliances, this mobile office more than deserves a place on our best caravan list. 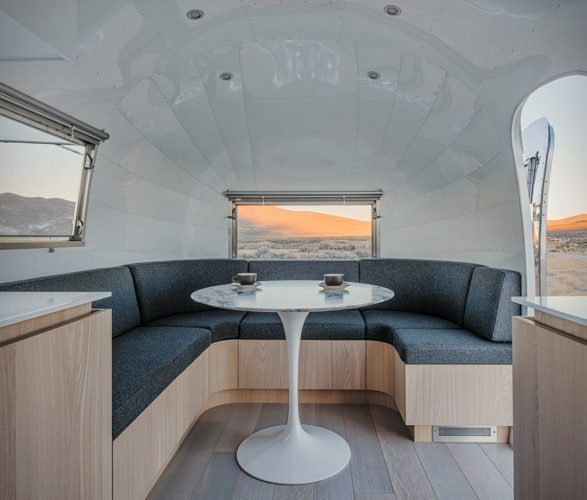 This Airstream mobile office has multiple power sources via solar panels and generators, and also has its own WiFi, a necessity for anyone who needs to tap into an office for work or send files to companies on the go. 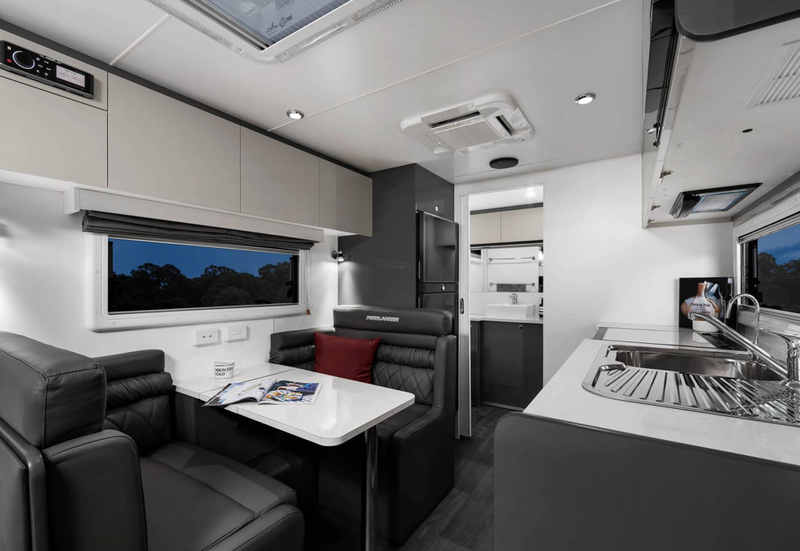 There’s a thermostat to adjust the temperature to your needs (controlled by your smartphone), and a whole host of other features like a state of the art alarm system, a camera, and enough space to turn the entire camper into a meeting room. The sofa folds down into a bed when you clock off and fancy a nap, and the Google Home speaker system gives you the perfect sound quality to re-listen to those Harry Potter audiobooks as you drift off to sleep. Check out the Edmondslee website for more information! 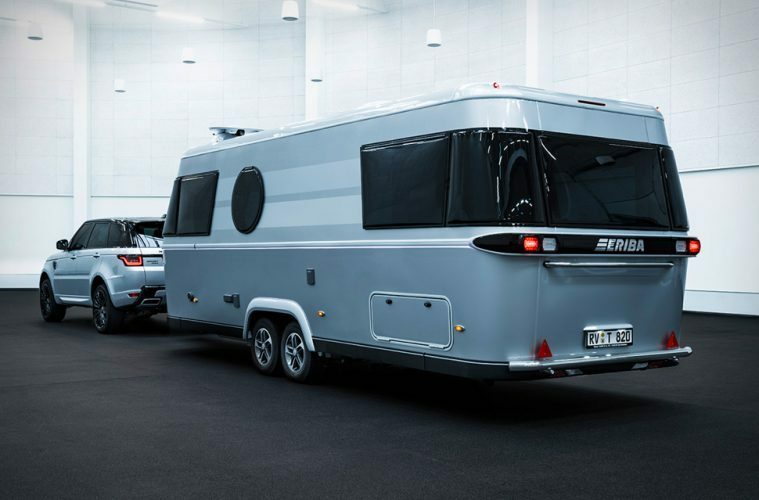 Some of you might have seen our article about this monstrous Carbon Fiber Caravan, but we can’t have a list of the best caravans on the market without including this Death-Star-on-wheels. Living the Darkstar Van Life just got a heck of a lot easier thanks to the CR-1, the worlds first all Carbon Fiber towable trailer with enough room to take the entire street on an intergalactic cruise to Barcelona and beyond. The CR-1 still fits into the category of a caravan as it needs a vehicle to tow it; that vehicle might have to be an SUV with as much power as the Ford Earthroamer, but it’s still a caravan, so I’m sticking by my choice! 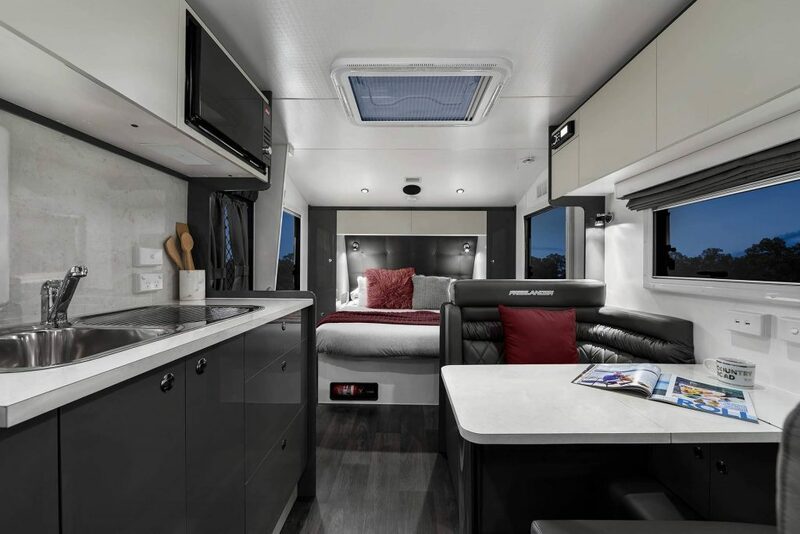 With flatscreen televisions in most of the rooms, an ensuite bathroom, master bedroom, magic-tinted windows that would be more suited to a Harry Potter House, a washing machine and a designer tap, this luxury trailer could be the most sophisticated camper on our best caravans list. The living room features a stylish Italian leather sofa set, one of which folds down into a second bedroom for any guests that you might want to invite along for the ride. 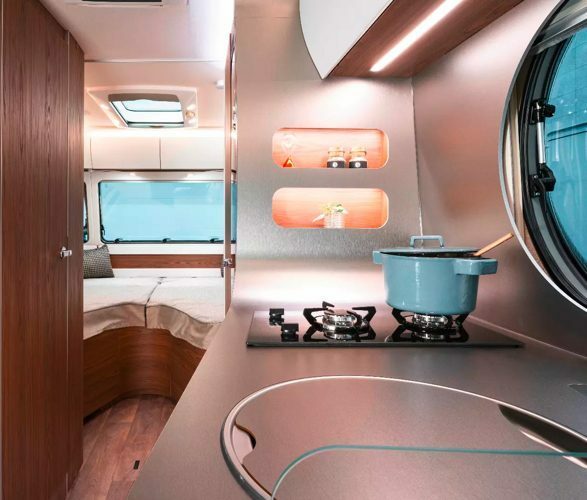 It’s got enough battery storage and solar power to keep all of your electrical appliances going for days before you even have to think about heading to a campsite, and would make a great static tiny home in sunny countries. 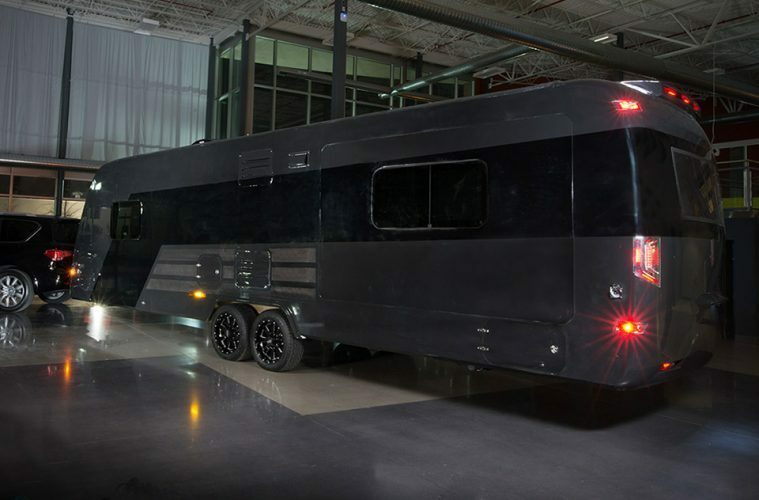 Check out our article on the Carbon Fiber Caravan for more information! You may have already seen our article on the ‘Off Grid’ Lotus Caravan, but the next addition on our best caravans list is all about it’s larger and more family orientated brother; the Freelander. If my parents had have told me that we were going camping when I was younger and arrived home with this beast, then I think I would have thought that Christmas had come early. It’s time to say goodbye to the boring, stale holiday homes of old as we take a look at this modern monster. Stylish and rugged (again, another camper that could be named after yours truly), the Freelander is built for any terrain, and weather, and any style of adventure. It’s as much at home on the campsite as it is in the wilderness, and it’s kitted out for any length of stay in any climate (can you see why we’ve chosen this caravan as ‘the all-rounder’ now?). Complete with a top load washing machine, a full electrical system, comfortable living area, spacious bed and more, the Freelander could well be used as a permanent dwelling all year round! The 3.5T Twin Shock Control Rider independent suspension and custom designed 17″ wheels ensure that this caravan will cruise along behind you as though it were floating on air; you won’t have to keep looking in your rear view mirror to make sure that it’s not swerving down the motorway! Check our the Lotus website for more info on the Freelander. 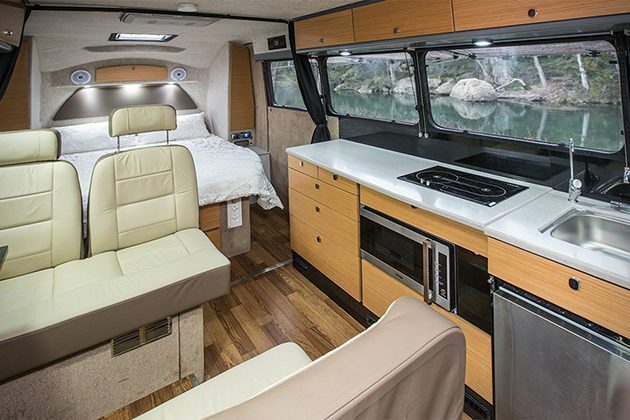 The next addition on our best campervans list is the Alaria Tr from Lunar Caravans. 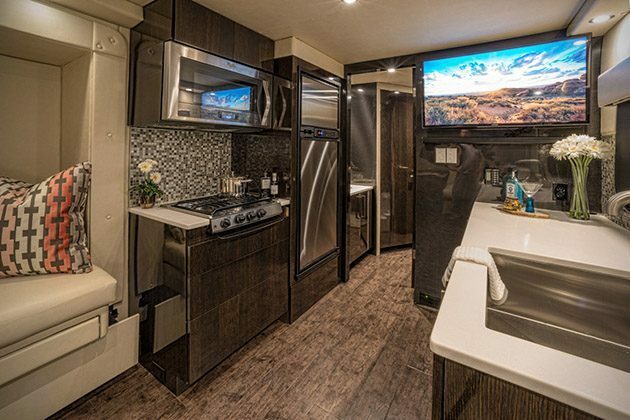 This might be more the type of caravan that you expected to see on this list, but the inside is really where the magic happens. Once you unlock the side door, you’ll find yourself in the middle of what looks like a modern terraced house, with all of the city comforts that you have come to know and love. The Alaria has a self-levelling system to make sure that you aren’t sleeping on a tilt, which is far easier than messing around with levelling blocks or manually adjusting stabilisers. A large L-shape sofa provides a comfortable area to relax in with the family, and with the large double bed and two smaller singles located further down the caravan, there’s enough room to sleep four people without having to play rock paper scissors to decide who has to sleep on the floor. A control panel gives you access to your heating and water levels, and the Lunar comes pre-equipped with a tracker for added peace of mind. Check out the Lunar website for more information! 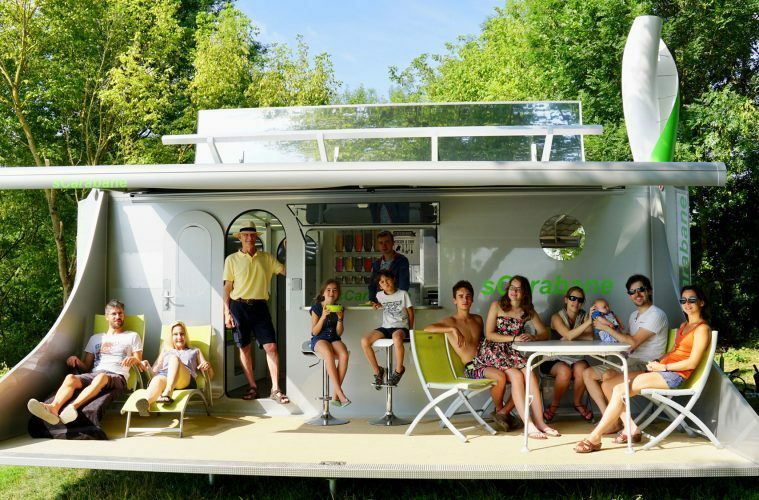 Another Van Clan favourite, this solar power caravan received turned lots of heads when we first wrote about it in early 2019. 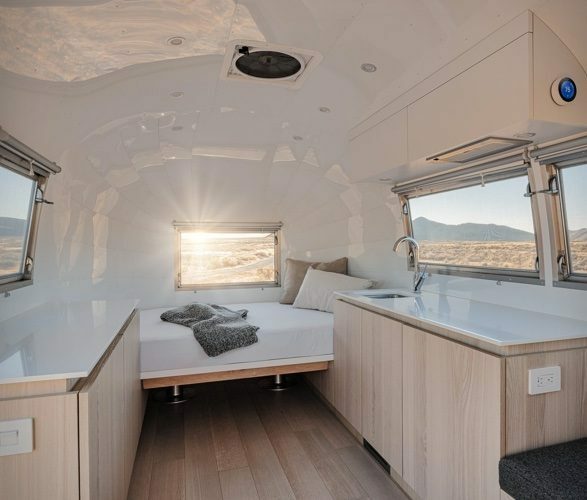 It’s the only camper on our list of best caravans that is custom made to follow the path of the sun, in fact, it’s probably the only camper in the world that does that! 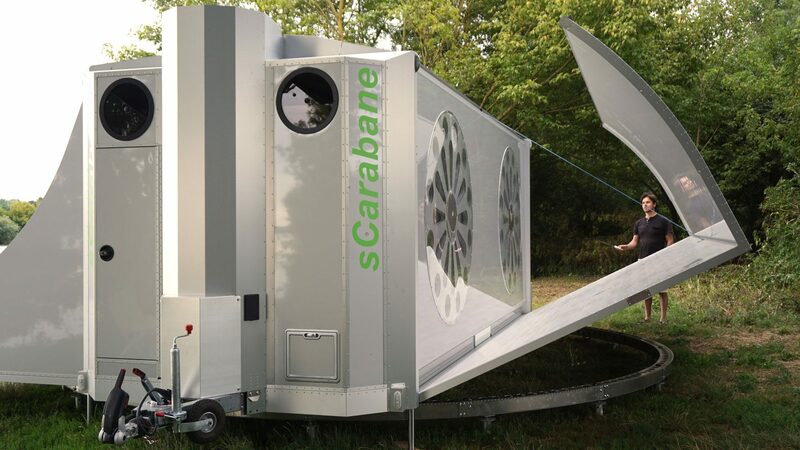 The sCarabane is a towable tiny house that extends into an off-grid hotel for you and all the family. 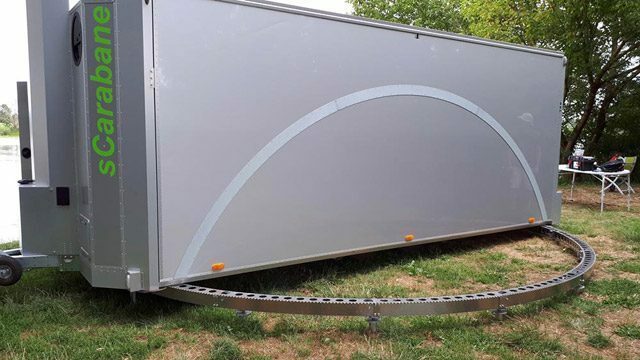 Sitting on a circular track that looks like a cross between the StarGate and one of those spaceship ports that Obi-Wan Kenobi uses in the inferior Star Wars films, this electric trailer follows the path of the sun to harness as much solar power as possible. Not only that, but it also has a wind turbine for when the sun decides to do a runner too, making this one of the best top eco campers that we’ve covered in the history of our humble magazine! The sCarabane makes use of natural light everywhere it can, with large bubble windows and incredible roof vents that cast patterns into the various rooms. A digital system lets you manage every electrical element and energy-saving function from a small, easy to use screen on the wall, and you can also take advantage of the integrated washing machine and dishwasher to keep clean on the go. 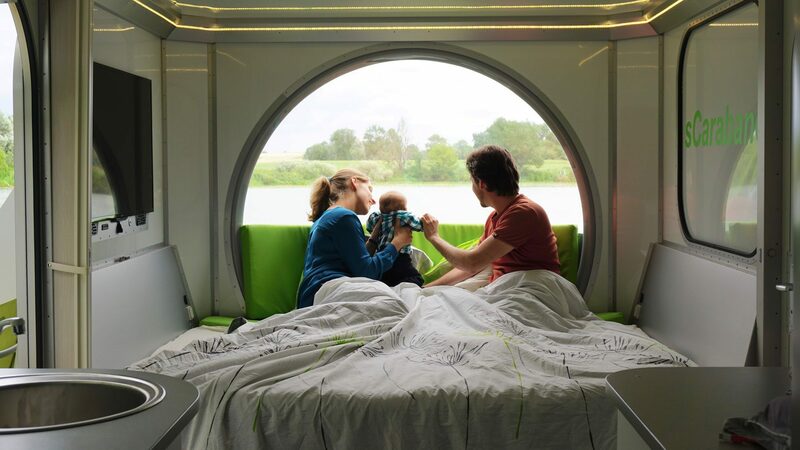 Check out our article on this off grid caravan for more details! 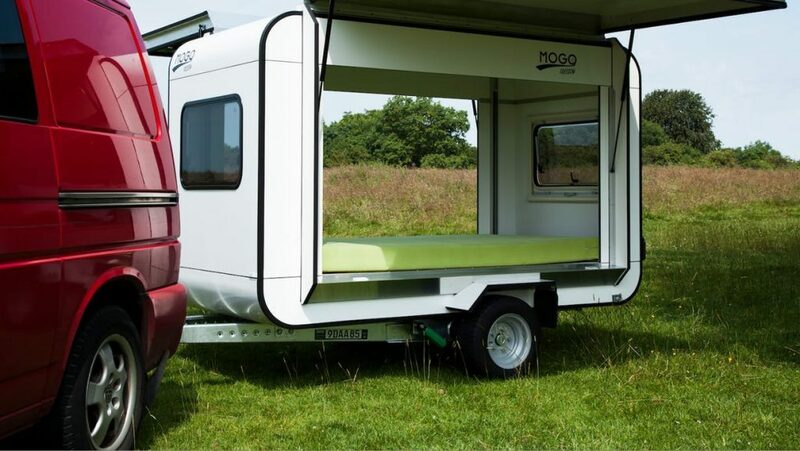 The final addition to our best caravans article is a little box camper that has been making big waves in the caravanning world. Meet the Mogo Freedom, a simple travel trailer that can comfortably store all of your outdoor gear and sleep two adults with ease. 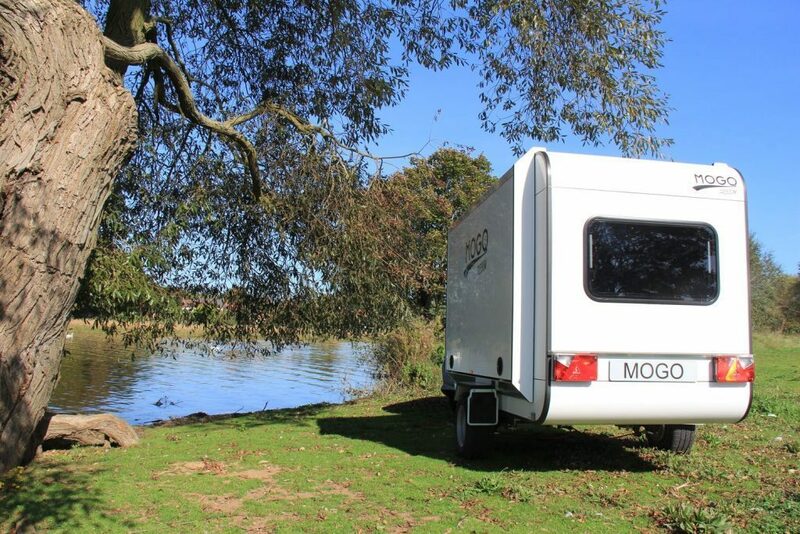 The Mogo Freedom is the smallest caravan on our list, but don’t let the size fool you. It’s perfect for any weekend warrior that doesn’t have a lot of space to store a bulky motorhome and can be towed by pretty much any vehicle on the market. Instead of a rear entry or a small side door, this caravan makes use of two Delorian-style gullwing doors that can also provide shade from the sun on warm days. If you want to keep bugs out, then two windows can provide ventilation once inside the camper. 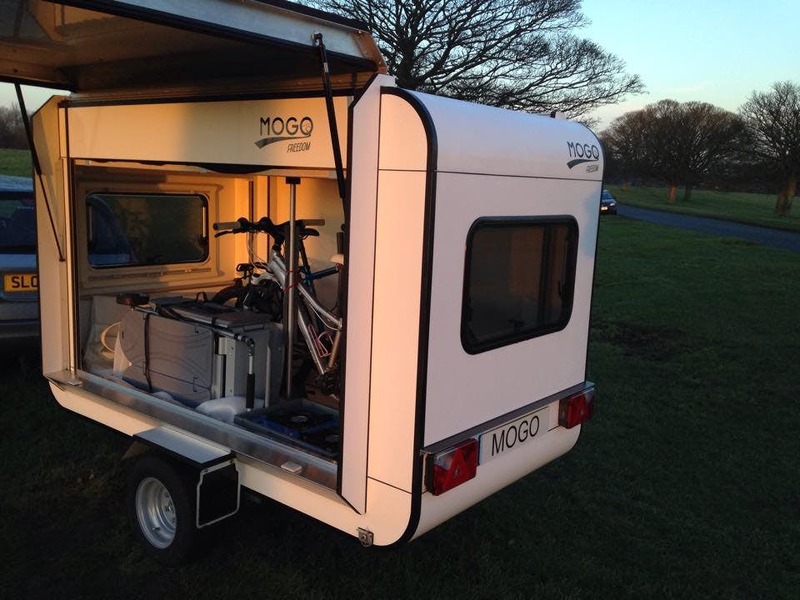 Compared to the other campers in our best caravans list, the Mogo is a pretty empty shell. A mattress takes up most of the floor space, and can be hitched up to the underside of the roof while in transit and when not in use. Its simple design would favour a minimalistic lifestyle, but it’s certainly not for anyone who needs to take everything including the kitchen sink on holiday with them. If you like to rough it and have all of the necessary. Check out Mogo Freedom for more information! We’ve listed the main van life costs that you need to consider when living on the road. These vanlife blogs should be on your reading list. Get some inspiration from these Van Life Instagram accounts!